Magnum Energy's products are made in the United States, and are renowned for their high quality. 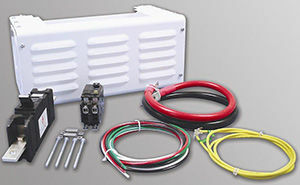 The MPX Series extension boxes allow additional Magnum inverters to be mounted with, and connected to the MP Series systems panels including the MPSL-30D and the MPSH-30D. The top of the MPX is designed to seamlessly interface with Magnum Energy inverters, allowing for professionally consistent installations. These extension boxes come complete with all of the necessary AC/DC breakers and wiring to accommodate an additional Magnum inverter. For vertically mounted installations, Magnum Energy includes an inverter hood with the MPX series extension boxes. Magnum Energy offers these variations of the MPX series extension boxes, each designed for a specific inverter configuration. 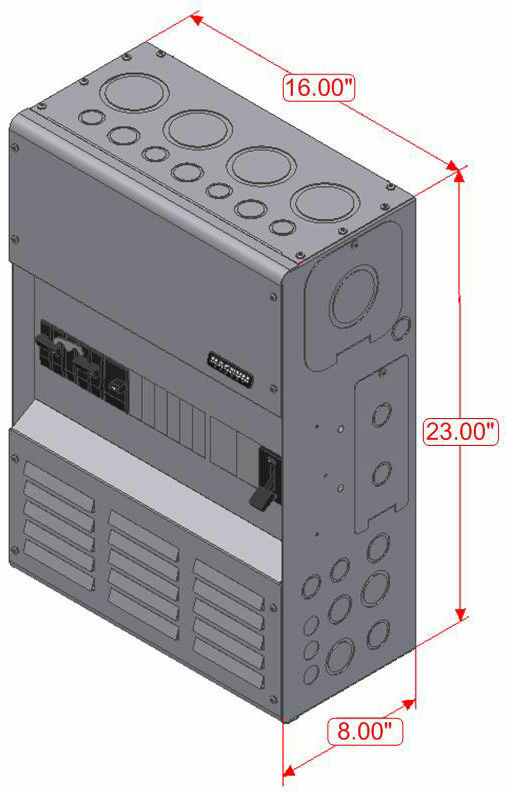 MPXS-30D enclosure can be used with MPSL-30D or MPSH-30D. Includes one 30A AC double pole, input circuit breaker. Includes one 250A DC circuit breaker. Includes Inverter hood for vertical mounting. Includes necessary AC and DC inverter wiring to add another inverter.